What makes Niseko a special ski destination? Niseko has always been “the” place for powder snow among the Japanese, averaging about 15m of snow/ season. The western media will tell you that it’s the second or third snowiest resort in the world” but that is a fabrication. I can tell you of at least 5 resorts on the main island of Honshu that receive much more! And all of these resorts in Japan receive 99% of that snow between mid November and the end of March. Compare that with 6-7 months’ statistical snowfall of Europe or North American resorts and you’ll get the picture of what happens here. It’s not the quantity that drove Japanese and now westerners here, it’s the quality and consistency of the Niseko snowfall that makes it a true freak of nature. It simply just doesn’t stop snowing here, 10-20cm daily top-ups are the norm in Jan and Feb. Check the daily snow reports on 360Niseko for proof. This and the night skiiing. 650m vert of incredible powder skiing at night thanks to a high speed quad, gondola and stadium lighting that would make most football fields envious. Of course the food is fantastic all year round and the over 60 hotsprings in the Niseko area alone aren’t too shabby either. If your lucky, you’ll get a glimpse of the iconic Mt.Yotei (Hokkaido’s Mt.Fuji) located due east directly across the vegetable fields and rice plains. If you want DEEP POW and you don’t care if you see the sun or ever wanted to know what it was like to live in a snow globe then anytime from the third week of Dec- third week of Feb should work. If you enjoy longer days, sun with your powder and want to tour and experience the incredible backcountry, Come after that until the end of March. What is the nearest, notable city and how long does it take to get there? Otaru (on the sea of Japan) is about 1 hr away by train or 1 1/4 hrs drive and was Hokkaido’s first port town. It has some great historic buildings unique to Hokkaido on it’s famous canal. Keep in mind that Hokkaido is only 150yrs old and is considered the “Canada” of Japan so you won’t find too many “traditional” buildings besides the temples and or the re-constructed Ainu villages (indigenous peoples of Hokkaido). Otaru is great for a day off, shopping and delicious seafood. If you have a second day off, head to Sapporo. This city of 2 million is the best city I have ever lived in. In addition to the 11 resorts in the city limits and some great backcountry the downtown party area of Susukino (with over 6000 bars and restaurants) is worth a visit. Great food and Nomihodai’s (all you can drink) for ridiculously low prices. Is this also where you’d fly into to visit Niseko? People often mistake Sapporo for the destination, it’s actually Chitose. Chitose is either a 2.5hr bus ride (2 hr drive in summer) to Niseko or a 1 hr train ride to Sapporo downtown. Are the temperatures comparable to what one might experience at western ski resorts in the States (I think this is ideally -320-30 degrees F)? It can get cold here with the wind but the average temp in Jan is -5degrees celcius or 23 degrees F. I’m from Canada so I usually find it warm but sometimes even I can get cold when the humidity is up. What is the name of the ski resort you would ski at if you stayed in Niseko? 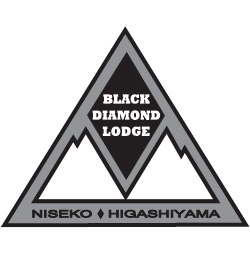 The area is composed of 4 separate resorts, Annupuri, Niseko Village, Grand Hirafu and Hanazono but they all offer a “Niseko United” shared ticket. We are based at the bottom of Niseko Village (formerly Higashiyama) and this area always had the most potential out of the 4 (and that very reason is why we set up shop here) but it had never truly utilised the best lift accessed terrain, until now. While some of the best areas remain permanently closed, they did make a great step forward by officially opening up Mizunosawa. Mizunosawa has the steepest an most challenging falline skiing on the mountain and BDL guests can access it the easiest. The only downside is that the lift will run very slowly or come to a stop in any sort of significant wind, which we have a lot of. If you want to maximize your vertical and powder in a day, start your day In either Hanazono or Annupuri and finish with Niseko Village or the backbowls where the snow stays the longest. Most reliable and fastest lifts? Rusustsu. Local favorite that is not quite as busy? Moiwa. Best local cat day tour? Chisenupuri. Best cat skiing experience? Shimamaki Snowcats. Best lift accessed and touring guiding company? Black Diamond Tours baby! Anything new happening in ski this year? New runs, lifts or other? Niseko Village has two new beginner lifts and one new run on offer. These are the most modern lifts Hokkaido has seen to date. Unfortunately it only offers about 50m of vertical over the 1.2km run, so our guests will probably not be using it so much. Niseko Hirafu has addressed their growing queues by updating two key lifts this season, great news for guests. More lift improvements are needed to make us world class but steps are being made! Most of the interesting and advanced-expert terrain that resorts like Whistler use as a sales gimmick (because probably 97% of the people don’t ever ski it) is still permanently closed. It is closed not because they can’t manage it, but because it was either always closed when the resorts were all separate, someone died there (15 years ago) and/or realistcally no one knows how to or seems to want to take the risk resposibility. It’s a bummer because this terrain is clearly visible from the village and is easy to access, so lots of poaching happening by both foreigners and Japanese. When someone, especially a foriegner gets caught some prolific “locals” claim it as disrespect. In my opinion pressure should be put on the resorts to open these areas for safety aspects aand to meet the demand of the guests. NOTE: If you are staying with BDL (or other) DO NOT POACH THESE LINES!!! Even though we may not agree with the current management, WE DO NOT CONDONE POACHING but support dialogue with an eye to opening the current closed areas to make the resorts better and safer for everyone. Being affillited with poachers only sets the cause back and makes us look bad. Thanks in advance for your co-operation. In a way we are thankful for current management as it makes our backcountry businesses that much more attractive. The newest thing to have happened for our partners the Hokkaido Backcountry Club 3 seasons ago was our heli operation on Shiribetsu dake, Last year it was the Shimamaki Snowcats. This year will be re-opening Chisenupuri, but we’re not done yet. There are many more good times ahead so stay tuned! Do you have a favorite or must-do run on the mountain? Beyond ski, is there anything amazing you must do when you visit? Of course the hotsprings are a great draw. Dropping down the backside and skiing to Goshiki onsen is a great combo of skiing and soaking. Hit up a real Japanese soba restaurant (Ichimura Soba). My best suggestion? Get out of Niseko, it’s full of foreigners! Hit up one of the great little ryokan’s (japanese traditional style inn’s) and ski tour from there. Honestly Niseko is just the tip of the iceberg, the rest of Hokkaido is the real secret. Are there any great festivals to know about in Japan or even locally that would happen in the winter? The Yuki Matsuri (snow festival) in Sapporo is pretty cool (no pun intended). The Japanese self defense force builds massive 4 story ice sculptures in Odori park (downtown Sapporo) for 5 days in Feb. (It used to be longer but several years ago an ice sculpture melted and crushed someone). What things about Niseko do you think end up being most surprising, especially to a Westerner? Possibly how many Aussies there are. You’ll also be surprised at how undeveloped the area is compared to resorts back home and the snow will blow you away, this is some of the best tree skiing in the world. I think one thing that people often don’t notice is that even though the village sits at just under 350m (1000ft) above sea level and is very close to the sea, you can still ski perfect dry powder right down to your accommodation’s door! That is something that is very rare and difficult to find anywhere else in the world. We have had the worlds best skiers and boarders stay with us and they keep coming back because of this easy access to quality snow. This is the one place in the world that you can ski the same stuff you see in the movies because it’s so easy to access and usually found just of the side of the road.